Before we dive into the complicated mess of what is and what isn’t covered by National Health Insurance, allow me to start by saying that the best way to get accurate information is to check with your dentist. National coverage on dental work varies, not just between different kinds of treatment, but even between different dentists. That said, the following information is about what materials are covered by insurance, and was taken from this site. Again, check with your dentist, as we can not guarantee how accurate this information (or the translation) is. JET Accident Insurance, our private insurance, does not cover dental work. Gold-Silver-Palladium Alloy: Often used in Japan. Composite Resin: These feel like plastic, and are white at first, but change color over time. Silver Alloys: These wear away easily, and are often only used for baby teeth. Gold Alloys: Make sure you aren’t allergic to gold. Ceramic Inlays: They are white and can be made to match the rest of your teeth. The color shouldn’t change much over time, but as they are a very hard material, they can be hard to repair. Hybrid Ceramics: These are made from fine-grain resins. They are white, with less transparency than ceramics, and softer than ceramics and harder than resin, so feel like normal teeth. Composite Resin: Often used for small cavities. Amalgam: Composed of silver and mercury, this is the oldest silver alloy in use. Glass Ionomer: A white cement, there are variants of it that release fluoride to prevent cavities. It wears away more easily than Composite Resin. Gold Foil Fillings: With these soft fillings, the gold is burnished in layers, and no bonding agents are used. The process takes a long time, and are packed in very tight. Hardened Resin Jacket Crown: Resin crowns are white, and though they change color over time, and sometimes break, they are also easy to repair. Hardened Resin Facing Crown: This is made from metal and resin, and only the part that is visible from the outside is white. It matches the rest of the teeth though it has less transparency, and can change color over time. Metal Bond Crown: Made from ceramic and metal. Hybrid Ceramic Facing Crown: Made from metal and hybrid ceramic, the inside is only metal. Resin Base: Plastic dentures that are often used. A little thick, but easy to adjust and repair. Sulfone Base: More heat resistant than Resin, and because it absorbs less water, it’s less inclined to develop a bad smell. It’s durable and less likely to break or lose shape. It’s harder to repair. Clasp: A kind of spring that is used to secure the dentures. Not very difficult to repair, but they bend easily and can break with metal fatigue. Not usually used on the back teeth. Metal Base: Thin, enabling heat to pass through easily so that they are not uncomfortable (making food taste better). Metal bases don’t lose shape and are easy to attach. Also, if materials like titanium are used they can be very light. Clasp: Clasps can be custom made with different materials to make them look better and easier to attach. Attachments: Attachments use materials that are used in making keys and magnets. They look better and last longer than clasps, but if they break they are difficult to repair. In-Office Bleaching: This is a bleaching procedure that is done by a dentist. 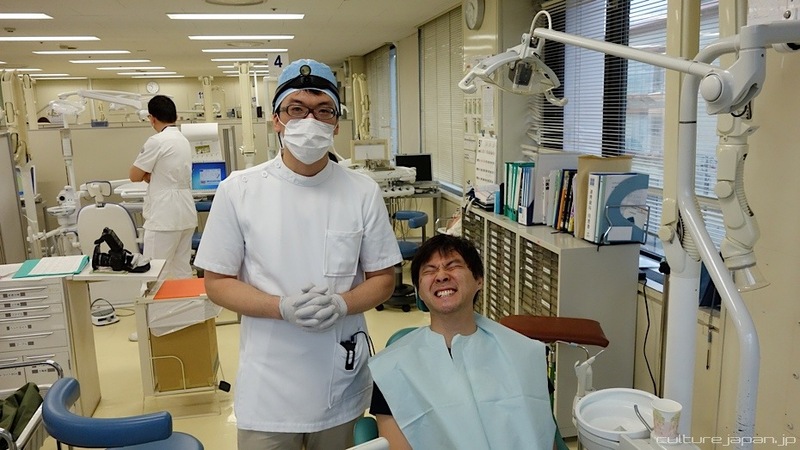 The dentist applies a liquid to the teeth and shines a special light on them for about 30 minutes. The whiteness level can be adjusted, and results are immediate, but you may have to go back. Home Bleaching: With your dentist’s help, you can bleach your teeth by yourself at home. You need to get a mouthpiece made based on a mold of your teeth. Once home, you put the mouthpiece in a liquid solution at home, and then fit it into your oral cavity for the required amount of time, repeating this procedure for two weeks. If your teeth get dirty you might have to repeat the procedure. Dental Implants: In this procedure, an implant is embedded into your jaw where you are missing a tooth (or teeth), and then the anchor is attached to the artificial tooth.